Affordable and quality healthcare is achieved when an all health sectors have been put to consideration. To achieve this, the Department of Health and Sanitation is partnering with different organizations to ensure it’s achieved. Kanco is a leading national health advocacy network organization that aims at improving health and well-being among communities through capacity building and promotion of innovative leadership majoring in the universal advocacy of HIV and AIDS, TB, Child Health including Immunization and Nutrition. Nandi County’s health indicators on immunization are at 67%which is still low compared to the required 100%. To improve this, the partnership with Kanco aims at engaging leaders at the county level to make commitments on child immunization, facilitate the adaptation of immunization promotion materials and messages and develop community level immunization scorecards to promote demand for vaccines. The partnership will also ensure accountability, organize grassroots meetings with elected leaders from informal settlements, identify, train and mentor county immunization champions. It will also seek to hold meetings and capacity building with religious leaders on immunization and engage the media in the campaign. Raising the levels of familiarity to immunization wil increase the access to quality healthcare and public health services at an individual and community level which is done through advocacy. The partnership, therefore, shall be crucial in enhancing the healthcare standards in the county. The organization met the County Health Management Team to discuss the partnership details and its implementation. 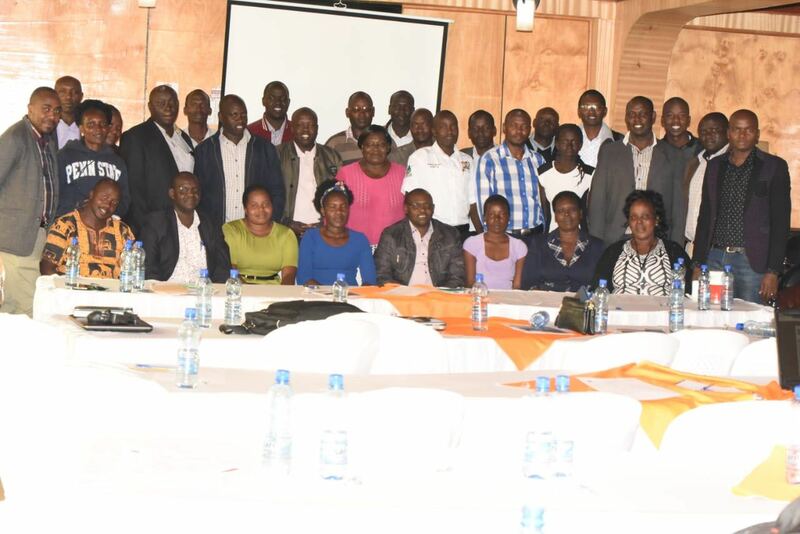 The meeting was chaired by the County Health Director Dr. Joseph Kangor, who reiterated emphasized on the risks of children missing immunization. The County Government calls on the residents of Nandi to work closely with the health officers when the will be rolled out.